Welcome! Relax center "Ludza" invites You! Bar drinks for every taste!! The romantic atmosphere of the restaurant! 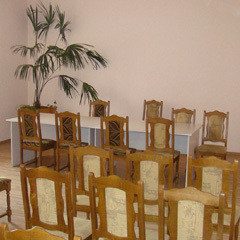 We invite you to visit, Relax center "Ludza." 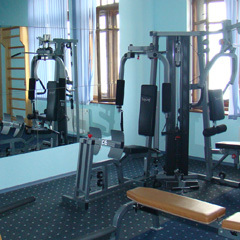 We offer comfortable guest rooms, a banquet hall, conference hall, restaurant,karaoke bar, sauna, gym. It's a beautiful place always remember you with its interior, home comfort, friendly service and tasty European cuisine. For those who like to warm up and relax. Sauna, large jacuzzi, shower massage and more. Business meetings, conferences or any event. In a cozy quiet atmosphere. Buy the month-ticket and keep yourself in shape at any time convenient for you! We are for a healthy lifestyle! We invite You to visit, Relax center "Ludza" at 1.Maya 1 street. hold meetings, and of course order a banquet for a wedding, birthday, graduation party or other celebrations. The most delicious food at the best price!!!! Each theme party - a surprise. © Relax center "Ludza" - SIA "Saule 5"